There may be times when you have an appointment with multiple services where you want to have a gap between services for processing. For example, if a hair client has Foils, followed by Cut and Blow dry, the foils may take 30 minutes where another appointment could be slotted in between. To set up processing time for your services follow these steps. In the Settings screen, under Services lick the Manage Your Services link. Search for a service to add the processing time to by entering the name or selecting a category and then clicking on the service. The Service Details screen will then be displayed. 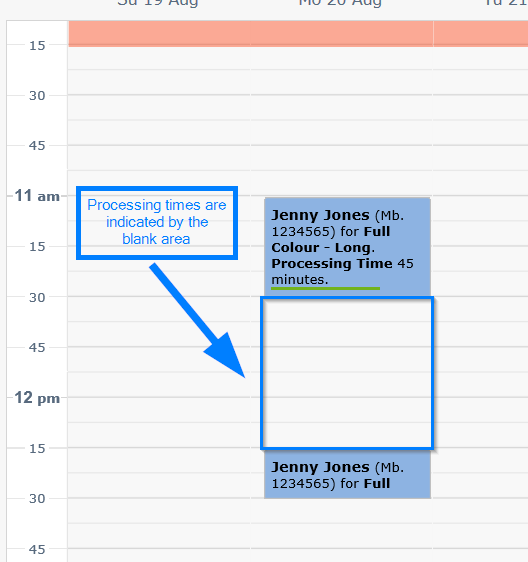 In the field Processing Length enter the default time required. 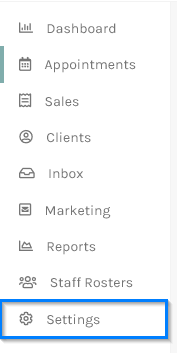 You will be able to change this when adding the appointment if required. 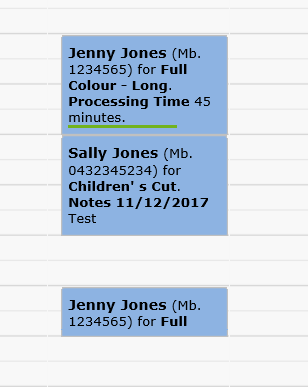 Now go back to the appointment screen to add an appointment with Processing Time by clicking appointments in the menu. Click in the time slot where you wish the appointment to be created. The Add Appointment screen will then appear again for you to continue. In the Add Appointment screen. 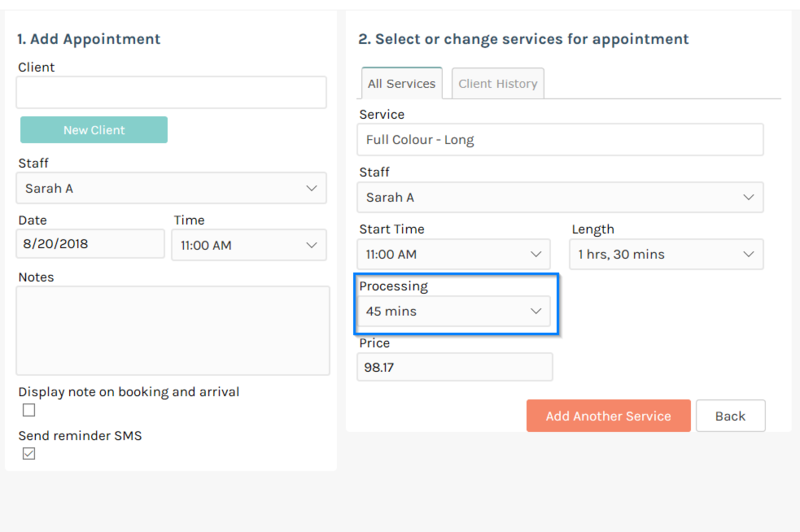 Choose the client to make the appointment with, then select the service for which you have just set up the processing time. 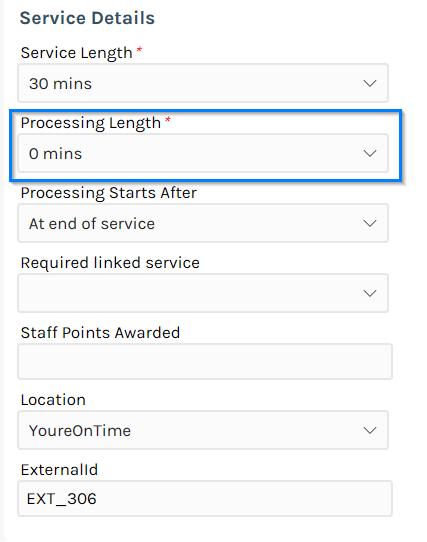 It will then be moved down to the Selected Services section and a drop down list will be displayed where you can change the Processing Time if required. Also choose another service that will be performed after the one with processing time. 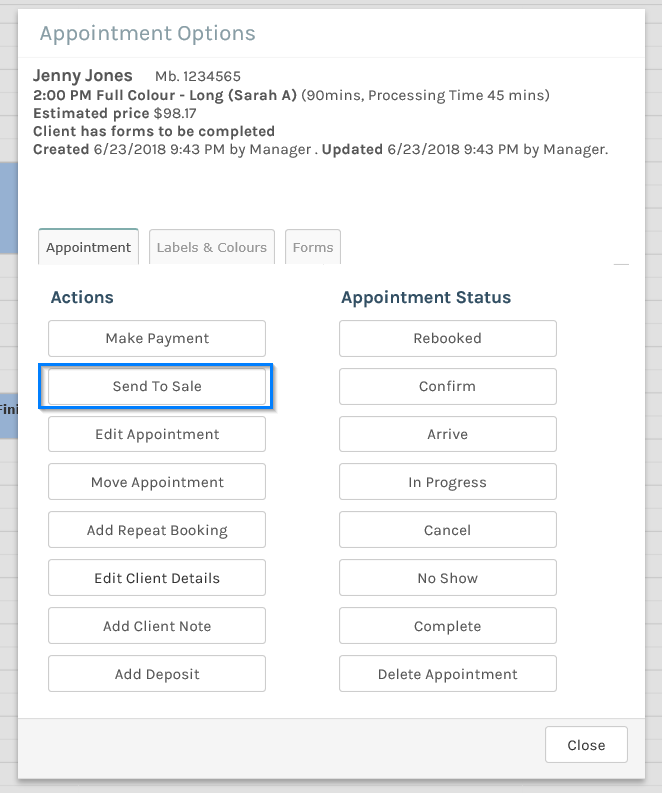 Now click on Save Appointment to create the appointment and return to the appointment screen. You will notice there is a gap between the two service for the appointment. You may wish to confirm this appointment via SMS Reminders (or simply clicking the appointment and selecting the Confirm Appointment option) before adding any more appointments. In the gap between the services click to make another new appointment . After adding this appointment you will be returned to the Appointment Screen. You will notice the new appointment is between the two services for the existing appointment. If you then click on either of the services in the original appointment the Appointment Options screen will appear. Click the Send To Sale link to create a Sale from this appointment.